We're a team of name experts and web designers who publish eBabyNames.com, a website built to help expectant parents find the best baby names. Unlike many websites, our database of names was created by real name experts with a great passion for onomastics, the study of names and their backgrounds. 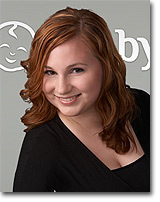 As a result, we proudly offer a selection of the finest baby names accompanied by accurate and complete background info. We hope you enjoy our website! Anabel’s name obsession started when she was told the story of her own name by her mother and it grew right along with her. She realized she was truly hooked when she began to look forward to the telephone book delivery every year-so she could read it cover to cover and study all of the names in the White Pages. 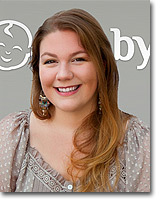 Her study of English, communications and the history of languages in college fanned the flames further and as former Head Editor, Writer, Community and Content Manager of Nickelodeon's BabyNamesWorld.com, she’s been helping people choose the perfect name for their babies since 2004! Anabel shares her home in the San Francisco Bay Area with her husband and two dogs and loves vintage clothes, punk rock and writing poetry. Nomina's first encounter with the world of names was during a summer internship in the early 90's doing data entry for a baby name book. Names and their origins have ruled her professional life ever since. Over the years she has served as co-author and editor for baby names related content in several magazines, books and websites. Besides being preoccupied with names, Nomina loves playing board games with friends and is a fanatic runner. She is a member of the American Name Society. Cynthia's fascination with names began with an interest in her own name and the names in her family, as she helped her mother compile their family tree. This spilled over to an interest in naming Sims, as she is a fan of the Sims games. 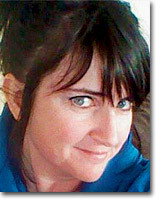 Over the years she became a true name expert as her interest in names grew into a passion for "all-things- onomastic". In her spare time, Cynthia loves to rock-climb, play her flute and read science-fiction/fantasy novels. Olyvia's love of names began at the age of eight, when she received an old Victorian dollhouse from some family friends and began to use her mother's baby name books to create elaborately named families to live in it. 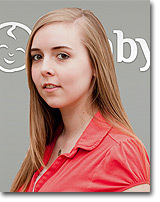 She has worked in the world of online naming as both a consultant and a name expert for over four years. In addition to working with names, Olyvia is also an avid reader, traveler, and follower of international politics. Anna first learned how to spell her name with the help of letter-shaped pancakes. Her ardent infatuation with the naming of people, places and things emerged as a result of growing up in a multicultural, urban environment, which gave her exposure to the concept of naming from a multilingual perspective. Her background in Latin provides an excellent foundation for the study of onomastics in the Western world, and she hopes that attaining fluency in Mandarin will broaden her knowledge regarding naming practices within the context of Eastern languages. 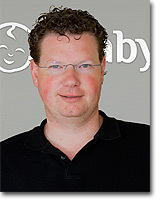 Wouter has a long history as an internet entrepreneur. Age nineteen when he founded his first internet company, he has since created and successfully sold 7 companies both small and large with well over 100 employees and offices in 5 countries. 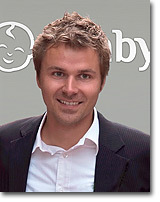 While Wouter's interest in names isn't as paramount as the name experts', as a usability and internet marketing master he is obsessed with learning how expectant parents use baby name websites and how he can use these insights to improve eBabyNames. Besides work, he enjoys spending time with his two young daughters and backpacking throughout non-western countries. Describing Erik as simply a web developer alone doesn't do justice to his extensive multifaceted experience. In addition to being an accomplished web development veteran, he specializes in internet marketing, usability, analytics, social media and media planning. In the past Erik has played a definitive role in several online projects, many that became prodigious success stories. Erik is father to Lucas and Simon, his two sons, and wishes he had time for more hobbies, but unfortunately he hasn't. Dennis is an experienced web developer who has worked both as an independent contractor and as an employee for Europe's leading internet companies. 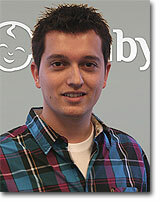 He's elevated his skill level from pure web development to complete internet specialist. He is extremely knowledgeable in regard to all facets of development, hosting, internet marketing, design and usability. He loves state of the art development techniques as well as social media aspects that dominate today's internet. Dennis got married in the summer of 2014. He and his wife are parents to Evi (4) and Anne (2). Our database of names is created by real name experts with a great passion for onomastics, the study of names. Copyright © 2019 eBabyNames. All rights reserved.